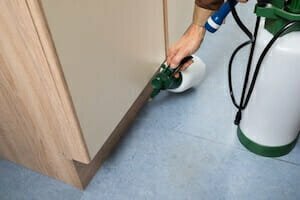 If you are considering professional pest control services or have doubts about the company you’re using, it is important to know that there are standards by which top professional pest control companies abide. By knowing what to expect, you can be sure to choose the best service possible or evaluate whether the provider you are currently using is up to par. When it comes to getting pest control under control, it is important that the timing is correct. The provider you choose should come to your home at least quarterly, and whenever you have a pest problem. The amount you pay yearly or quarterly should cover any follow-up visits between regularly scheduled maintenance appointments. If there is a stubborn problem, it may require more visits in a shorter period. Professional pest control companies typically require a contract of some sort with their customers. Automatic renewal or longer contracts may save your money. However, the typical is a one year contract. This is for several reasons. 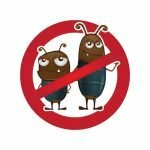 One visit from a professional pest control company may not eradicate every pest in your home or business, especially if there is a major problem. Service agreements protect you from a fee for every visit. That means in addition to your quarterly visit, you can call your provider to come out as often as necessary. If a pest control company does not offer a maintenance contract, keep shopping around for a more professional company. Professional pest control technicians know their trade and the area they serve. They can advise you on the types of preventative treatments needed based on pests typical to your area. 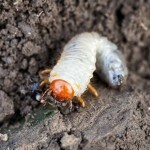 They can also identify habits that your household may have that are encouraging pests. Professional pest control services are very thorough. When they take on a new customer, they should inspect your home, even the areas that you rarely go into, such as attics, eaves, and dark corners. They should treat areas inside and outside your home. If you have a pest problem in your house, you’ll find that they even treat behind electrical outlets and on the runners of drawers to make sure all spaces have adequate protection. When a pest control provider is truly professional, it shows in everything they do. They ensure your security by wearing uniforms with the company name on them. They show up as scheduled ready to tackle the job at hand. They are always courteous and take special care to not create a mess for customers to clean up after them. For the most professional pest control service in the southeast, schedule an appointment with our expert team at Think Green Pest Control today.